We asked a pool of international photobook experts to share with us an image-text photobook they find particularly interesting, regardless of its publication date and where text is a fundamental element in the narrative (not a mere introduction or essay on the photoworks). 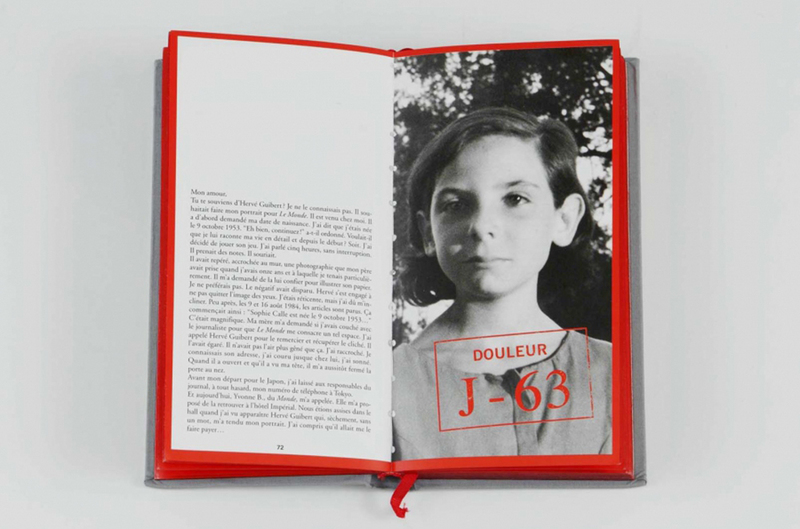 Here Magali Avezou reveals why Sophie Calle’s Exquisite Pain, first published in English by Thames & Hudson in 2004, while its French first edition was published in 2003 by Actes Sud (282 pages + 10.8 x 19.4 cm), has made a lasting impression on her. 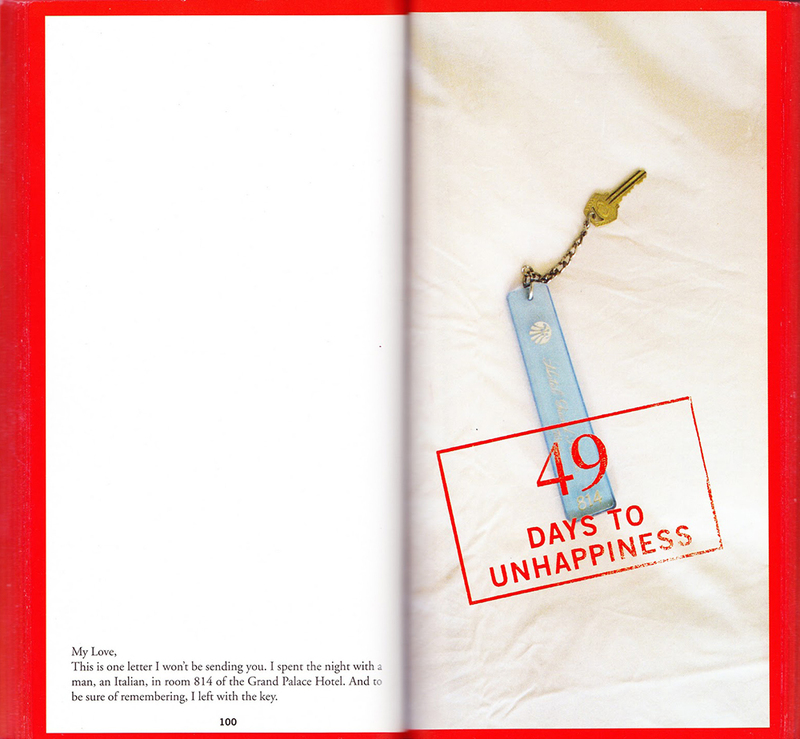 Sophie Calle is a conceptual artist whose personal life is the starting point for her practice. Each of her actions is a potential work of art, and it is no surprise that when conceiving a book, Calle conceives it as an experience in itself. Exquisite Pain takes the reader through the various stages of a separation, its premise, climax and aftermath. A perfect oxymoron, the title announces both suffering and sensuality, anguish and pleasure. When Calle was awarded a residency in Japan in 1984 she was in an unstable relationship, and three months seemed too long to be away from her lover. To make it shorter, Calle decided to travel to Japan via Moscow and the Trans-Siberian Railway. Her partner would join her there, 92 days later. From the outset the reader knows that something will happen on the day the two are due to meet, as all images are marked with a mundane stamp stating the number of days left until the fated event. Each page in the book records one day; Calle’s ordinary photographs document small episodes of her journey. Every image is accompanied by a short written comment, often recalling an earlier event in the story. Next to a portrait of her younger self, Calle remembers an argument she had with the artist and writer Hervé Guilbert. She also writes to her lover, giving the reader some clues about their relationship. Here and there the text disappears, leaving us with a mundane photograph, reflecting the boredom or emptiness Calle experienced. As if her being had dissolved in her surroundings, her writing goes silent. As we approach the end of the countdown we become increasingly anxious. Comments become passionate and fearful. 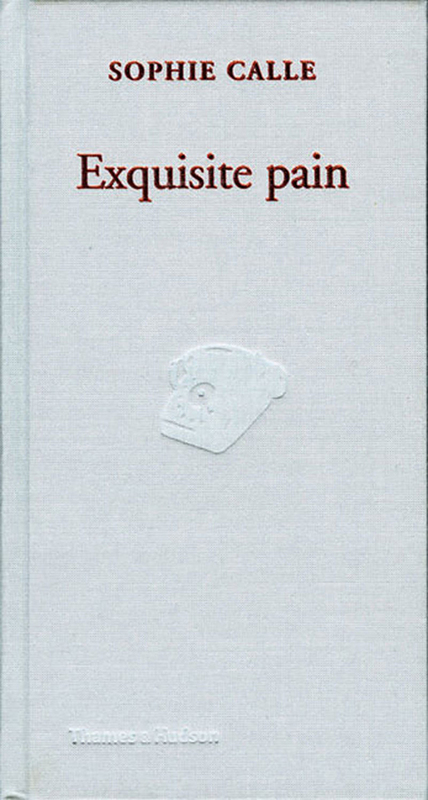 On D Day the stamp disappears and the image is one of a red, vintage telephone in a hotel room, the object by which Calle learned her relationship was over. 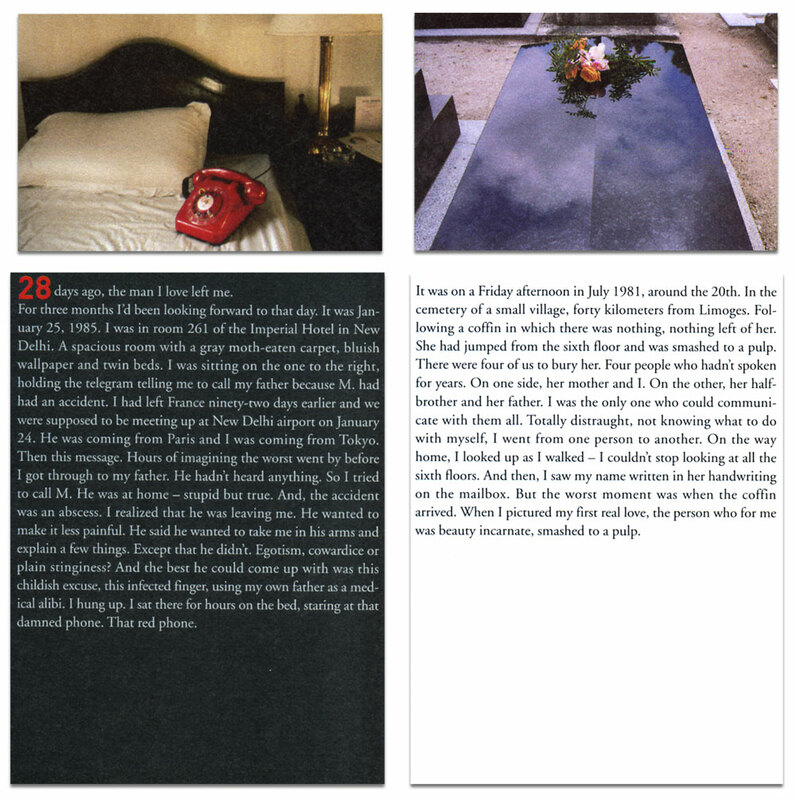 In the second part of the book the photograph of the phone reoccurs on every spread. In the accompanying text Calle repeatedly expresses the pain caused by the final phone call. On the opposite pages strangers recall the time they suffered most in their lives. With each passing page and day, Calle’s tales of her suffering become shorter and the printed words fade, as if the words of others were healing the artist’s own sorrow.Through repetition, the image of the red phone is impressed on the psyche, eternally to be associated with this particular pain; a visual memory that keeps sharp the sense of affliction, re-enacting the traumatic event ceaselessly. The accompanying text that disappears as we turn the pages is the interpretation that language elaborates to deal with grief, rewriting the story day after day. There is something almost Freudian in the way Exquisite Pain articulates photographs and texts. Calle uses images as an emanation of raw feelings connected to the subconscious, while the writing translates them into a discourse in order to make them more acceptable to the mind. Magali Avezou is an independent curator. She is the founder of archipelago, a curatorial platform focusing on visual culture and art publications. Her projects include ‘Murmur’, an exhibition on abstraction in photography presented at Flowers Gallery; ‘Burning with pleasure’, a research project on artists’ books; ‘26 Caledonian Road’, a site-specific exhibition commissioned by London College of Communication and ‘This is here’, a performative exhibition at St Bartholomew Church in London. She has been lecturing at Northampton University, Winchester School of Arts, London College of Communication, Escola Massana and Instituto Europeo del Design.